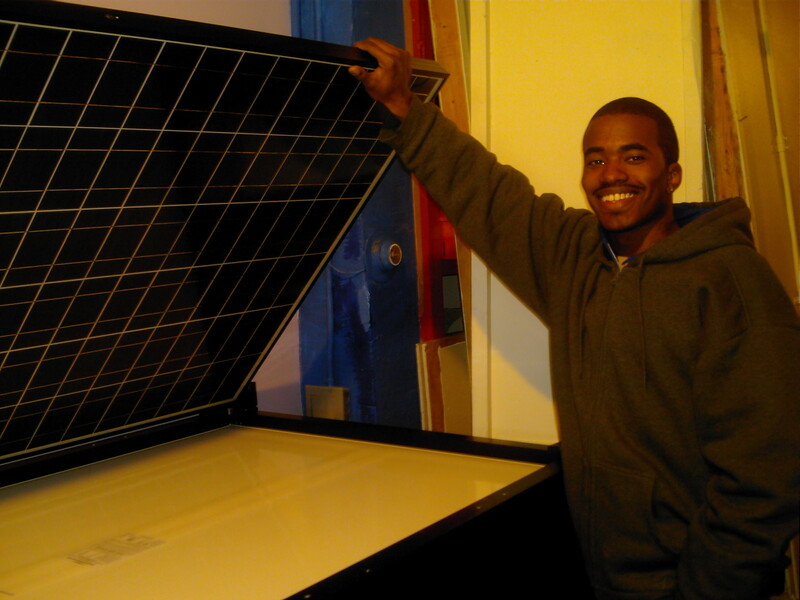 Evergreen was a solar panel manufacturer based in Marlboro Mass with a plant in Midland Michigan. They invented a new technology where they could make ribbons of silicon to make solar cells. Unfortunately, with China entering the solar market in a BIG way, prices were driven down to a point where Evergreen could not compete any more. They file for chapter 11 back in August. You can read more here. 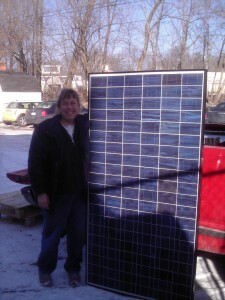 One of our SolarYpsi supporters, Matt Grocoff from Greenovation.TV in Ann Arbor alerted me to a close out sale of Evergreen panels from Sun Electric for $0.78/watt! I could not pass up a price like that. A quick phone call to Corinne the Ypsi Food Coop manager and a survey of the roof, we ordered eighteen 220-watt Evergreen panels for another 4 KW to add to the roof. 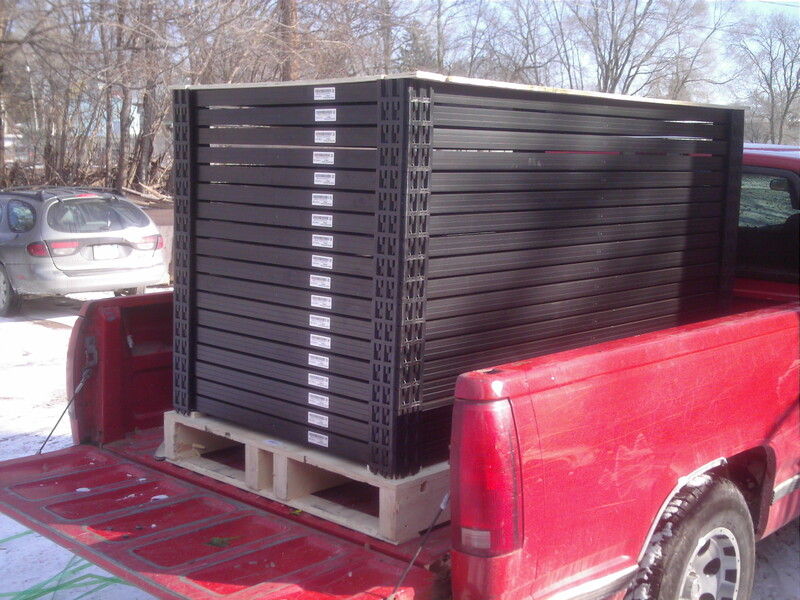 Here is the datasheet if you want more details about the panels. The panels were shipped by R+L Carriers and I was able to pick them up at there warehouse just off Ecorse. Here they are being unloaded behind the Ypsi Food Coop. These panels are bigger then the Sanyo panels we have been using. 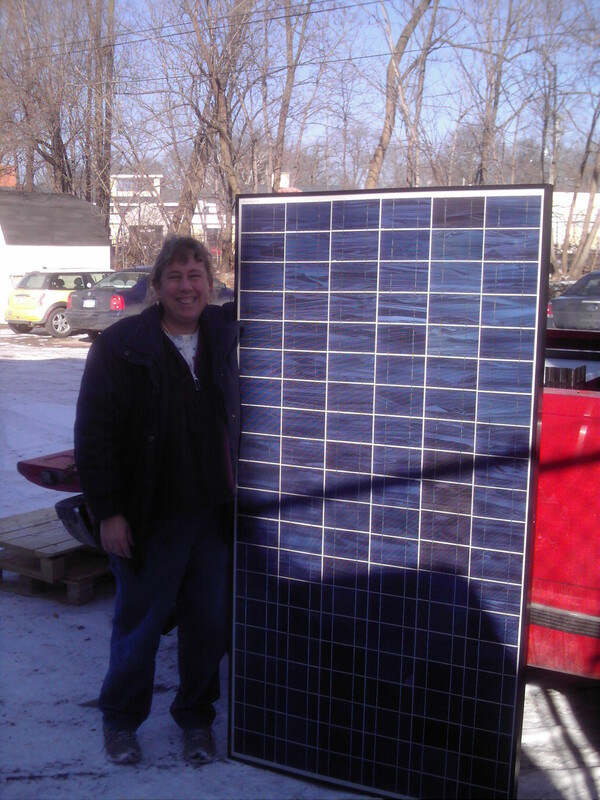 Robert helped moved the panels into the back of the Ypsi Food Coop where they will sit until we have some warmer weather. I’ve started working on a rack design and got a quote for the inverter and racking material. My first rough estimate is that the ROI on this installation will be about 8 years. Maybe shorter depending on how quickly electrical rates rise.